It is important to avoid the hot midday sun, wear protective clothing (long-sleeved lightweight shirts and blouses, wide-brimmed hats and cover-ups on the beach), and always use sunscreens and sun blocks liberally and frequently. Prevention is always worth more than the treatment. More than 25,000 patients have been examined for atypical spots and changing moles at Soderstrom Clinics. 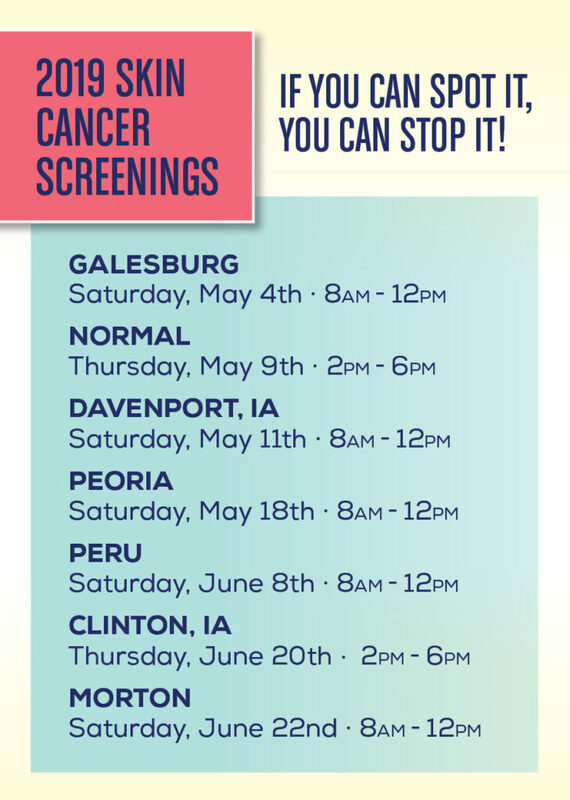 Each year, Soderstrom Skin Institute sponsors more than 15 free Skin Cancer Screening Clinics in central Illinois and eastern Iowa. Screening days are completely devoted to our patients. Patients seen at each clinic enjoy complimentary refreshments, consultations, informational lectures and a free examination of worrisome or changing spots or moles. To schedule an appointment with a board certified dermatologist at Soderstrom Skin Institute, call 833-439-8612. To view upcoming screenings, check out our events calendar.